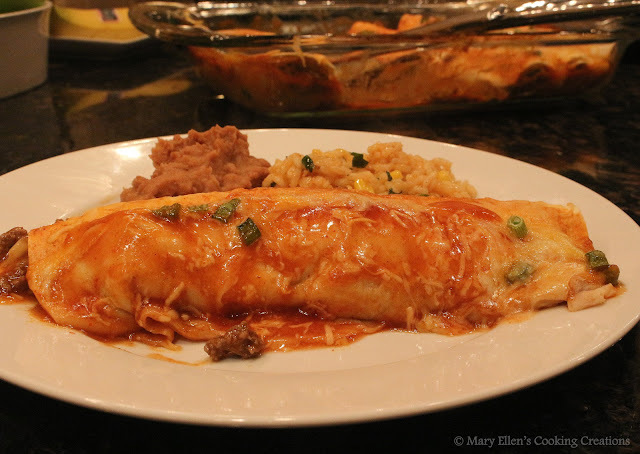 My go-to enchilada recipe gets rave reviews. I have been making it for years (wow - I posted the recipe in 2007, my first year of blogging) and still haven't tired of it. But every time I make it I think about all that cream cheese and cheese... there has to be a healthier way. 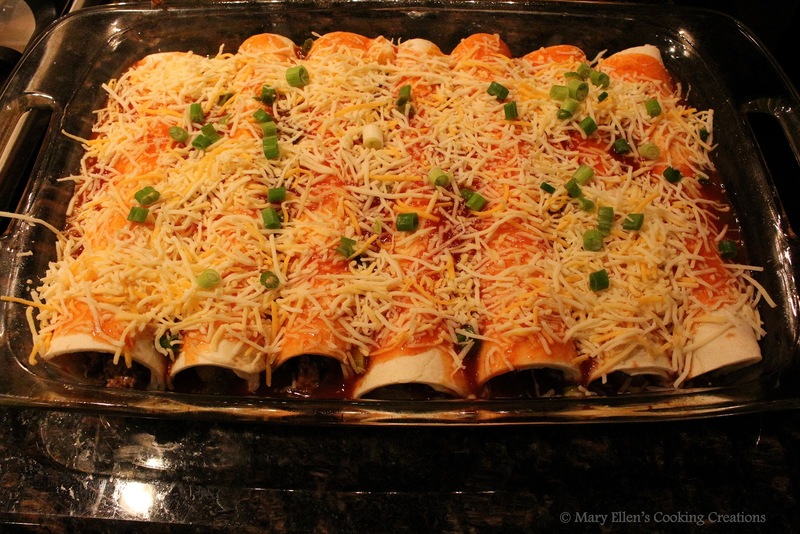 That's when I found this Skinny Mom recipe for easy beef enchiladas. 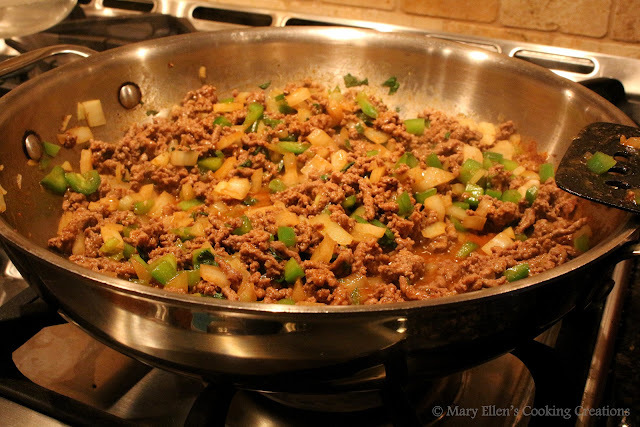 Unlike my enchilada filling, this one is straight forward - beef, peppers, onions, and no cheese. There is enough cheese on the outside that you don't miss it. 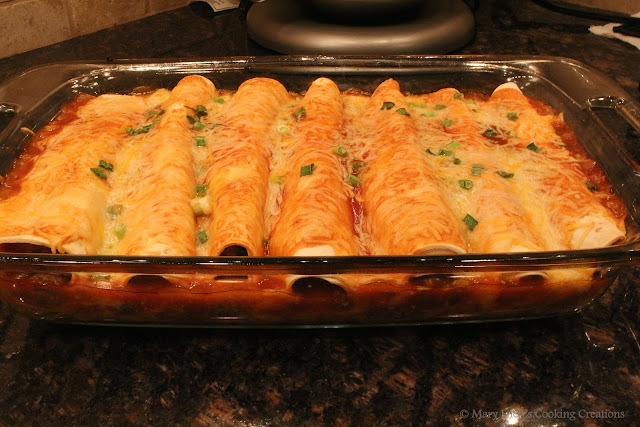 You can use canned enchilada sauce or try this easy homemade enchilada sauce. To bulk it up, add some more veggies, like chopped broccoli, spinach, or corn. Serve them with these easy homemade refried beans or some sauteed corn and peppers. What brand of enchilada sauce do you use? Thinking about making these this weekend! Stacy, I use Old El Paso or homemade if i have extra time.